A fresh and newly designed Face Collection. 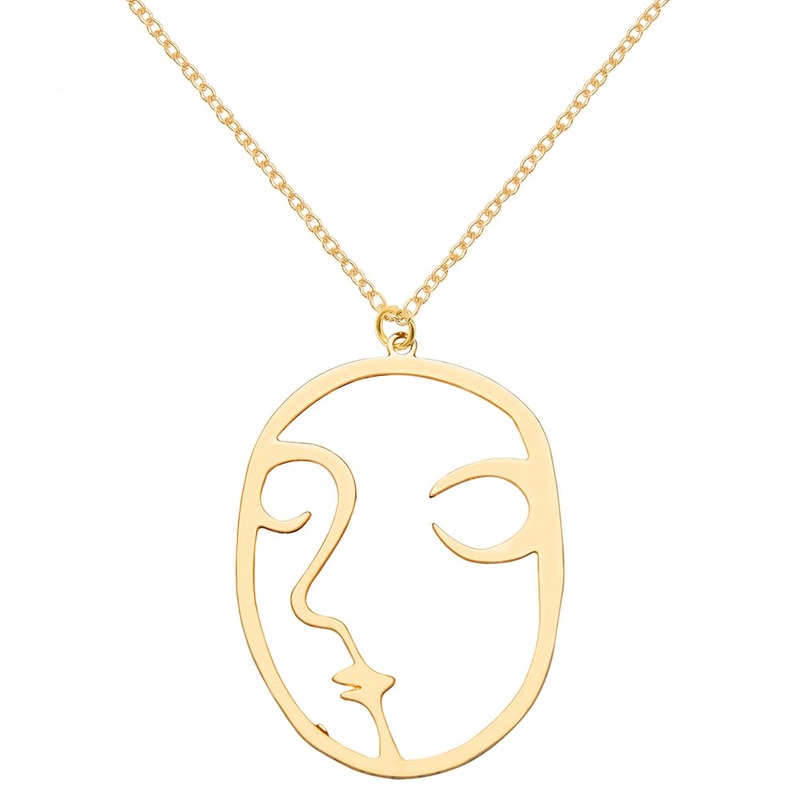 This necklace is crafted in a 18k gold plated alloy chain and carry's an abstract cut out face design, which will add a fresh new look to your outfit. A Weathered Penny in London, United Kingdom.